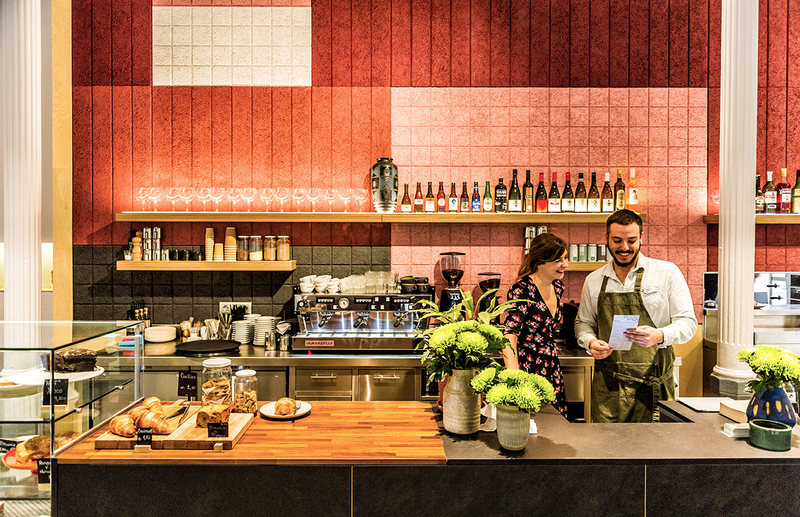 We interviewed Christopher King @ Café Federal in Valencia to hear how they’ve been using BAUX Panels. 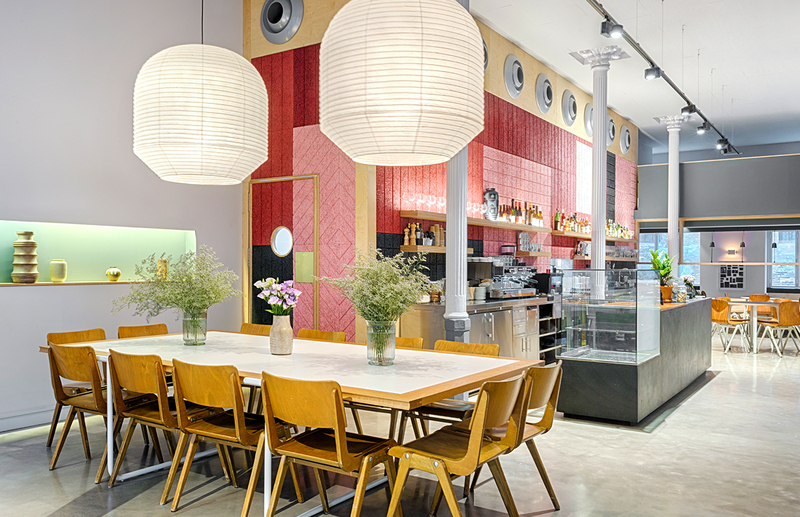 We were designing the interior for our new café in Valencia and wanted to keep the open feel and long view throughout the building. The interior was designed around a central kitchen and this meant there’d be an interior wall in the middle of the space that would be very visible. As we also wanted to think about sound reflections from windows and hard surfaces we decided to create a BAUX design on the interior wall. I’d seen BAUX in my daily design feed and mentally stored it away as something interesting and then it seemed like the perfect solution for this project. They ended up being the design element that had the most impact on the space. The colours contrasted nicely with the rest of the interior and the acoustic insulation reduced volume around the counter where there’s most movement. We’ve used acoustic panels before but BAUX is different. It’s a focal point and it breaks up sound at a human speaking level. People seem to love it and we think it’s a fantastic product. It has a great texture, you can blends or contrast with colours and it breaks up the cacophony of noise in a café. It’s made a huge impact for a reasonable price. It’s also set us apart from everyone else. We’ve already considered BAUX for future projects! There are a number of environments this application would enhance. I’d love to work on a larger scale and maybe cover walls, ceilings and floors in one BAUX design.